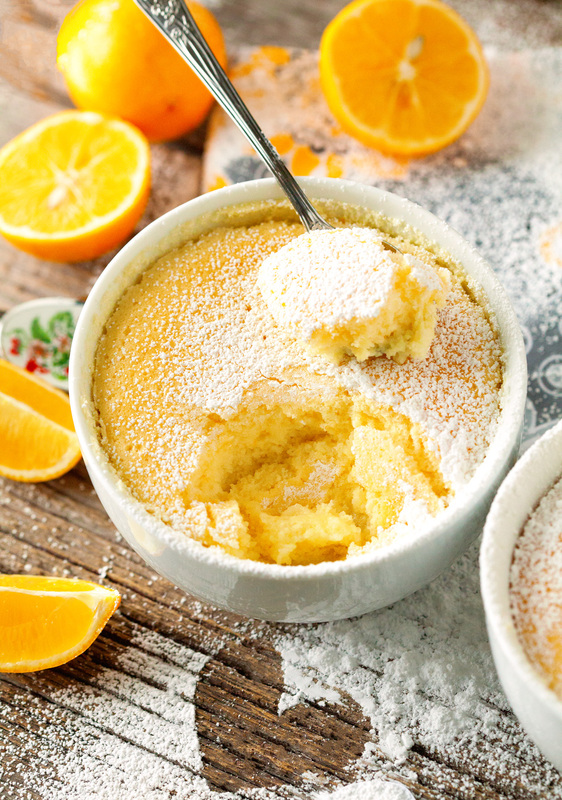 Soufflé, Pudding and Cake all rolled into one breathtaking dessert. 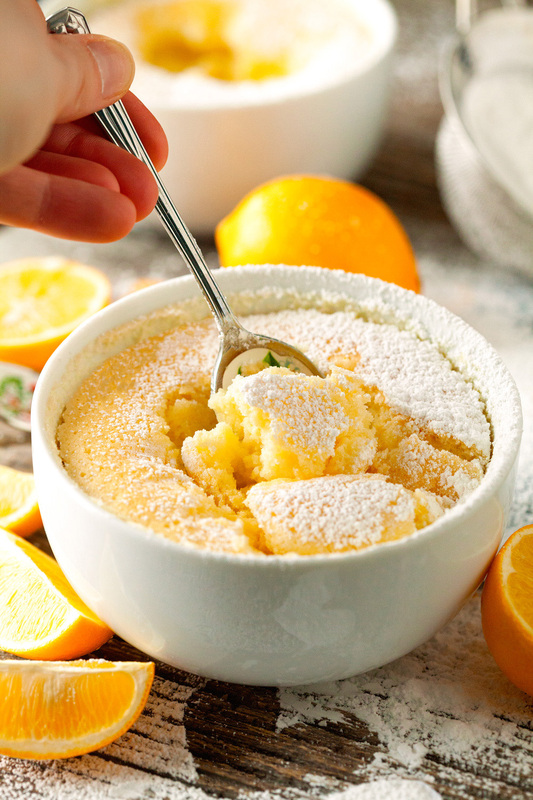 Starring Meyer Lemons – absolutely dreamy! Valentine’s Day can’t come soon enough. Now that I’ve had a chance to test various Valentine’s desserts and treats, I am waiting on pins and needles until I’ll be able to make some of my faves once again. What you see here is definitely on the top of my list. Even though the unique taste, texture and flavor going on here are hard to forget, I cannot wait to indulge in a couple of days. Get ready to have your taste buds blown away. This dessert will make your V-Day one to remember! So if you’ve been waiting for a non-chocolaty dessert, this one is for you. Never did it cross my mind that I’d be willing to sacrifice chocolate over something fruity and sour like lemons. Don’t get me wrong, I absolutely adore citrus in all variations, but citrus over chocolate? On the day of love? If you would have told me that a lemon dessert is about to steal the show this Valentine’s Day, I would have made a very bitter face at ya.